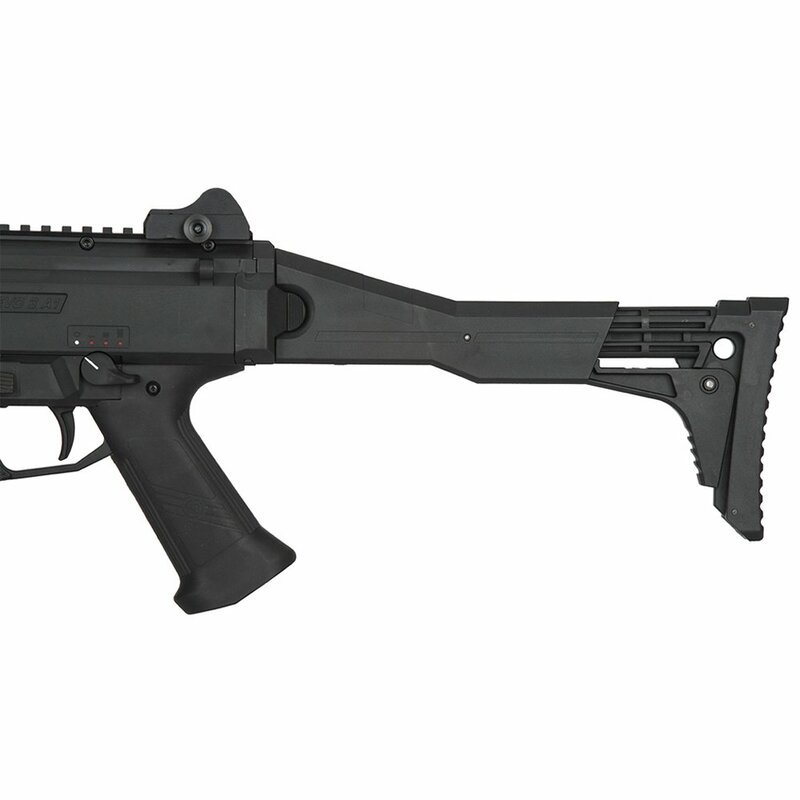 ASG’s hyper realistic CZ Scorpion airsoft replica is now available as a full length carbine! The EVO 3 A1 Carbine includes the same iconic folding stock and polymer construction as the SMG model, but it has been upgraded with an extended inner barrel, outer bull barrel with muzzle break, M-LOK handguard, and full length monolithic optics rail. The full-metal internals have also been beefed up with ASG’s latest tech to provide unparalleled trigger response, improved gearbox vitality, and a bolt catch with authentic empty-magazine detection. 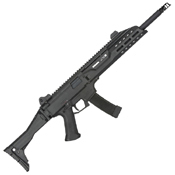 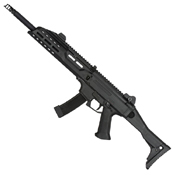 With improved firepower and accuracy, the CZ Scorpion is ready to take on both the CQB and outdoor field! A MOSFET (Metal Oxide Semiconductor Field-Effect Transistor) is an internal component found in some AEGs. 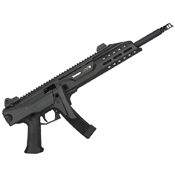 The MOSFET prevents battery over-discharge and electrical arcing, which wears out the gun’s trigger contacts. 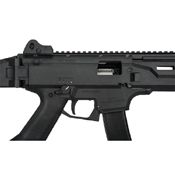 MOSFETs also allow for programmable firing modes, like 3-round burst.